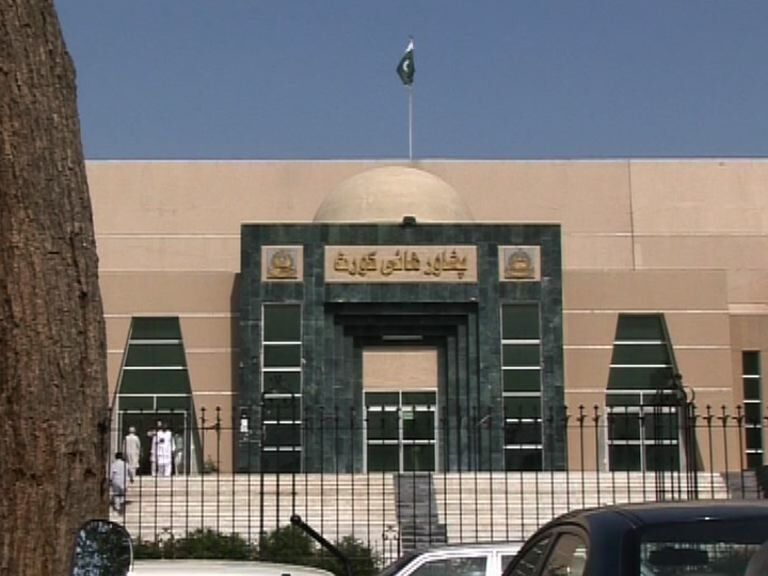 The Peshawar High Court (PHC) on Tuesday suspended the execution of a death-row inmate, who was sentenced to death by a military court for involvement in terrorism. A two member bench of the PHC, comprising Justice Mahzar Alam Main Khel and Justice Younis Thaheem, heard the application of convicted militant Bakhat Amir, staying his execution. The bench asked the interior and defense ministries to submit details of the case in the next hearing. The application filed by the convict’s brother prayed that Amir had surrendered himself to security forces in 2009 in Swat, after which there was no information about him. A few weeks ago the family was informed that Amir had been awarded the death sentence by a military court, his brother maintained in court. The convict’s brother said “we do not know when and where the trial was conducted or who conducted tried the case”. The lawyer of Bakhat Amir contented that his client was not given “the basic right of a free and fair trial”. This is the second instance the PHC has intervened to suspend a death sentence awarded by a military court. In August 2015, PHC suspended the death sentence of Haider Ali — a 10th grade student at the Malakand Public High School, Swat.